It's a ratio, so the percentage to each piece is that number divided by the sum of all the numbers. So what would be the recommended settings to make it identical to vanilla diamond armor? I am bad at division. Also unsure if my leather armor alternative works now either. So would the ratio for a basic suit of vanilla armor(regardless of type) be the following? Those ratios are for Boots, Legs, Chest and Helmet respectively. Sorry, as I said before, I am bad at division. I have added things but when i start the game on 1.7.10 (intended version) it crashes in load up? Dose this work for 1.10.2? Dose this work for 1.10.2 mod? When will the documentation be updated for the new versions? Can this mod be used to override vanilla block drops? e.g. Replacing stone's cobblestone drop with a custom rock item, so that stone drops between 1 and 3 rocks? Quick Question, I know that you can make animated textures for items and blocks, but what about records? Is it possible to have a custom animated texture for records as well? Will this be seeing 1.10.2? 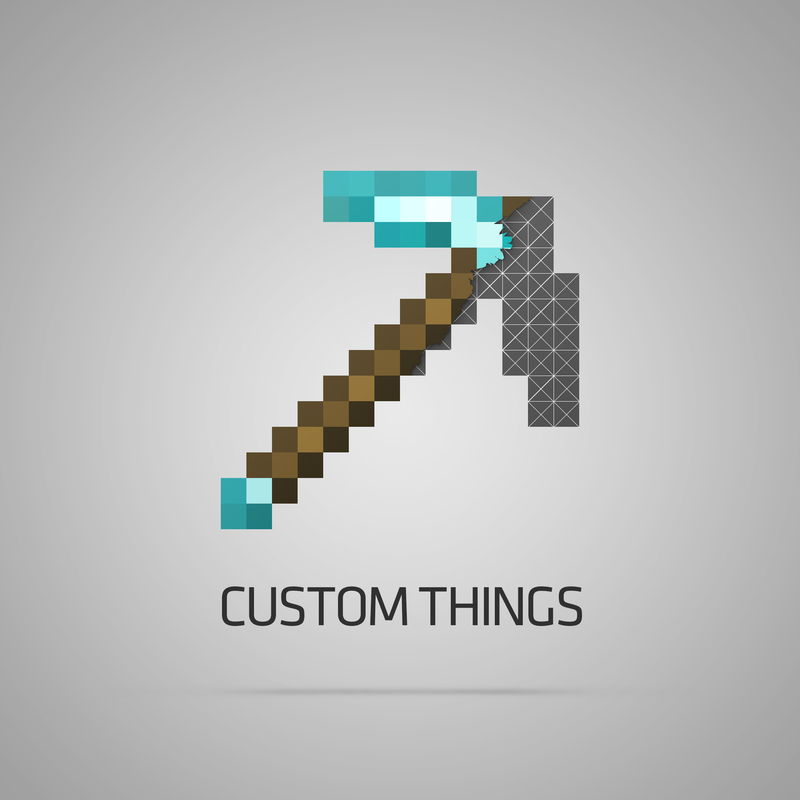 Does this let you add artwork for the custom blocks/items in a resource pack? Hi, my game crashed after editing the .json files. I got a different crash a while ago that said something about line 5 column 5 so I tried checking the .json files and found a typo at one of the files(in line 5 of the text) then fixed it and I think it solved the problem(not sure if I did the right thing) but now I'm getting another crash. OpenGL: ATI Mobility Radeon HD 4500/5100 Series GL version 3.3.11672 Compatibility Profile Context, ATI Technologies Inc. I think it was caused by "Expected name at line 12 column 4" so I tried checking the .json files and the only .json which seems to be the cause is the shaped recipes(line 12 of the other .json files are only braces). I can show you the .json file if you need it.